I began reading books on paranormal phenomena around forty years ago. Over time I have been able to find some great reading and digest the knowledge I have gained. I believe this has given me a limited but healthy understanding of the evidence. 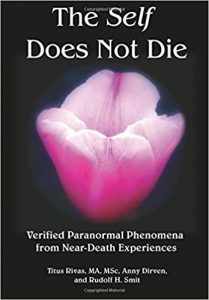 Below I have listed six recent books that contain outstanding accounts and analysis of reincarnation, near death experiences and related phenomena. I do not know the authors and will not make a penny if they are purchased but I do wholeheartedly recommend them. Dr. Tucker explores American cases of young children who report memories of previous lives. His goal is to determine what happened—what the child has said, how the parents have reacted, whether the child’s statements match the life of a particular deceased person, and whether the child could have learned such information through normal means. 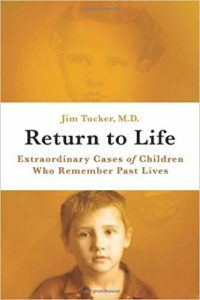 Tucker has found cases that provide persuasive evidence that some children do, in fact, possess memories of previous lives. 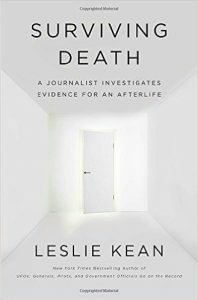 Leslie Kean’s impeccably researched, page-turning investigation, reveals stunning and wide-ranging evidence suggesting that consciousness survives death. 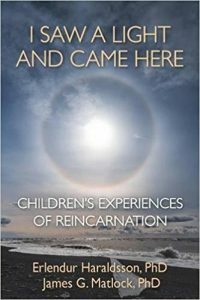 Kean explores the most compelling case studies of young children reporting verifiable details from past lives and people who die and then come back to report journeys into another dimension. Based on facts and scientific studies, Surviving Death includes fascinating chapters by medical doctors, psychiatrists, and PhDs from four countries. I Saw A Light And Came Here is the result of decades of scholarly research and investigations into past-life memories, primarily of children. Erlendur Haraldsson, a psychologist, has over two decades of experience behind him, having investigated some one hundred cases in the field. He worked closely with Ian Stevenson, M.D., of the University of Virginia, who began systematic studies of “cases of the reincarnation type,” but soon broke new ground with psychological studies of children who insist they remember episodes from past lives. Journey Back is a collection of past-life regressions involving 27 volunteers who desired to investigate their pasts under hypnosis. The stories uncovered were fascinating and eye opening. They opened the door to an awareness that suggests that we have existed in multiple lives with multiple lessons and experiences. In some lives, the volunteers were male, and in other lives they were female. Some lived to an old age while others died young. Some stories were of happy lives, but other included abandonment, murder and mental illness. Did Steve Jobs have a vision of the afterlife on his death-bed? Does quantum physics suggest that our mind might survive the physical death of our body? How do some near-death experiencers ‘see’ outside of their bodies at a time when they are supposed to be dead? In ‘Stop Worrying! 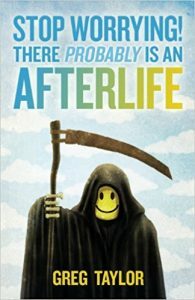 There Probably is an Afterlife’, author Greg Taylor covers all these questions and more. Taylor surveys the fascinating history of research into the survival of human consciousness, and returns with a stunning conclusion: that maybe we should stop worrying so much about death, because there probably is an afterlife. Are near-death experiences (NDEs) just elaborate hallucinations produced by a dying brain? Or the exuberant fantasies of attention-seeking narcissists? As the accounts in this book abundantly demonstrate: Neither! This book contains over 100 reliable, often firsthand accounts of perceptions during NDEs that were later verified as accurate by independent sources. These near-death experiencers were everyday people from all over the world-many of whom were clinically dead, unable to see or hear, and yet able to perceive new vistas of a world beyond the senses and even beyond death. 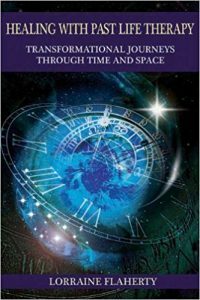 Providing evidence to the validity of past lives, this self-help guide delves deeply into past life regression and offers a thorough understanding of each step of the process. Through detailed transcripts of actual sessions, ordinary people speak candidly about their experiences with this form of self-discovery. 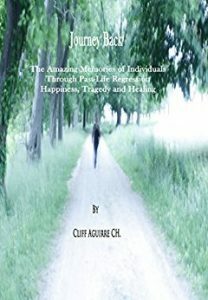 Confirming that she has gone through the same journey to healing, Lorraine Flaherty incorporates stories of her own past lives to illustrate the ways these insights can aid in clearing away mental clutter, help to form better decisions, cause one to become more empowered, and put one’s life on the right path. A lifetime athlete and adventurer had broken his neck. 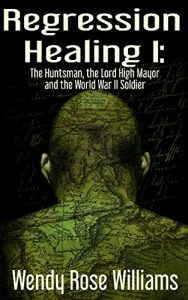 Could a comprehensive Past-Life Regression truly heal his significant daily pain? Could he finally learn how to connect easily and meaningfully with his Higher Self and Guides? Witness one man’s exploration of more than a dozen of his past lives. Celebrate his journey Home as he becomes “One” with the Light within us all. Learn how finding the origin of physical or emotional pain provides the opportunity to heal and release it for a happier, healthier NOW, via the Regression Healing™ spiritual regression technique. The humans formed the Amalgam. A civilisation spanning a third of the galaxy. The Mezzyima, an enigmatic alien race, took control of the Amalgam in just three minutes. The telepath, Teafu, is obsessed with defeating the aliens. In his fight to free mankind millions die. The immortal, Barton Hartshorn, looks back from the far future with great sorrow. Although time travel is forbidden he knows he must go back to stop the killing. But he needs help and from a most unlikely individual. 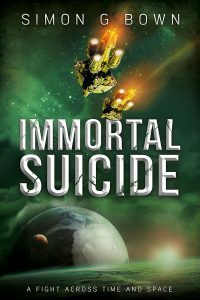 Immortal Suicide is the first novel from the author Simon G Bown.